Showing 1 - 5 of 5 Products for Fuel Sender and Hanger Assembly. w/17 Gal. 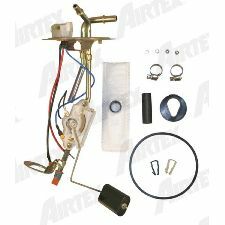 Center Tank, Fuel Pump Not Included; Includes Sending Unit, Float, Fuel Strainer and Tank Seal. Does not include Fuel Pump. 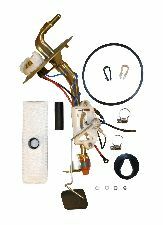 Airtex fuel pump sender assemblies feature exact fit, with design improvements and features advanced rust-inhibiting finish for longer life. w/19 Gal. 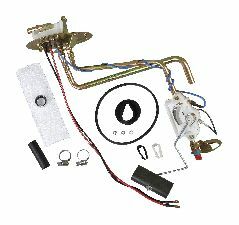 Center Tank, Fuel Pump Not Included; Includes Sending Unit, Float, Fuel Strainer and Tank Seal. Does not include Fuel Pump. 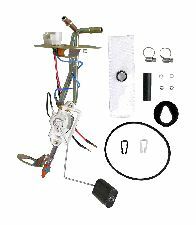 w/Rear Steel Tank, Fuel Pump Not Included; Includes Sending Unit, Float, Fuel Strainer and Tank Seal. Does not include Fuel Pump.